Stressed why people should link at you. Don't spread articles too thin just to get page views. Make things convenient to read and link at. Mike also said that some search engines might be looking at the text around links. He stated why waste time building a link directory when you can just build good content, but I think a good directory can be good content. Mike also stated that ezines and the like can yield underpriced links. Went over a bunch of link strategies, including many of the tools and things I post about on the blog often. Jim Boykin stressed who you link to and your linking neigborhood. Mentioned tools such as Google related: search function and Google TouchGraph. Jim manually sends link exchange request emails, and said he finds it works well to tell others what it is in it for them before asking for a link. Went over finding / hiring / motivating link builders. Said he had great luck on Craigslist, and that many people hire interns & students. 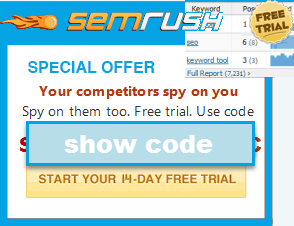 Great website, have just joined and I'm looking forward to reading all the great free SEO stuff. One quick question, can you recommend any good exhibitions for SEO in the UK or perhaps any good courses? and for in person networking conference stuff Search Engine Strategies (SES) & Search Marketing Expo (SMX) should be good. anything you can go to with David Naylor at it should be worth attending. Do You Know the Way to SES San Jose?